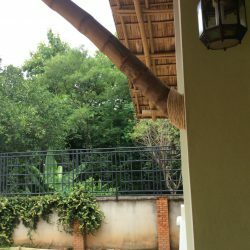 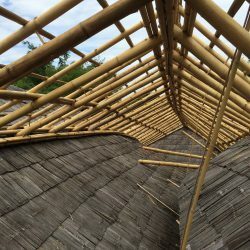 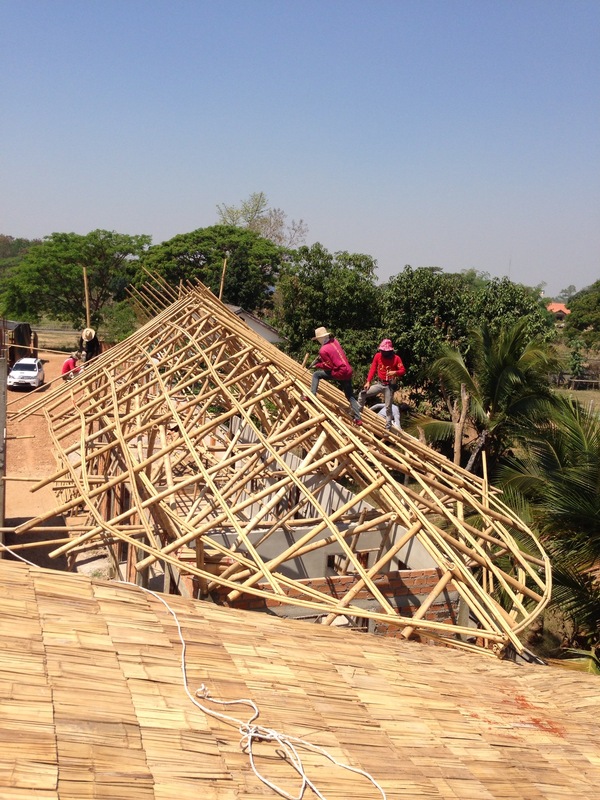 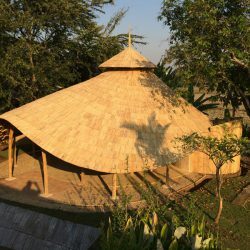 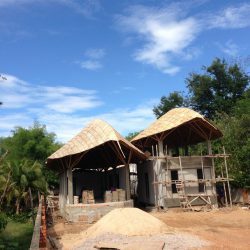 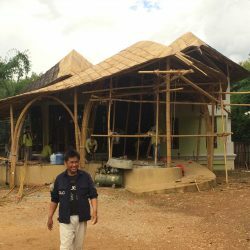 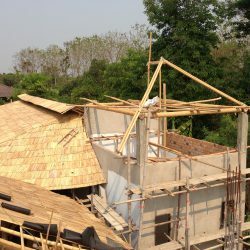 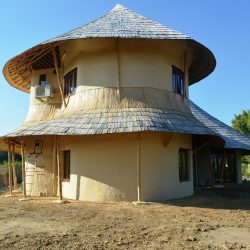 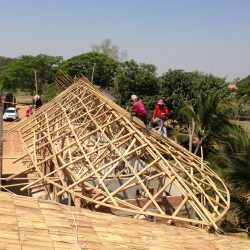 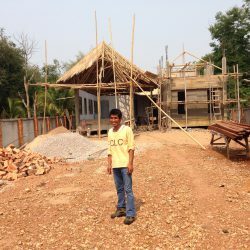 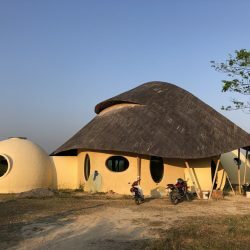 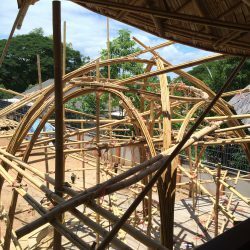 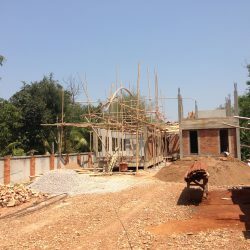 This Bamboo roof private residence family home is built like a little village on a raised platform with several individual buildings. 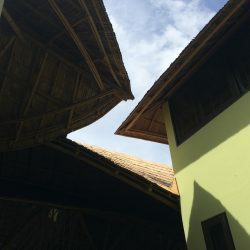 Each of the buildings roofs touch each other and the common communal area is covered by a bigger roof creating a living community space. 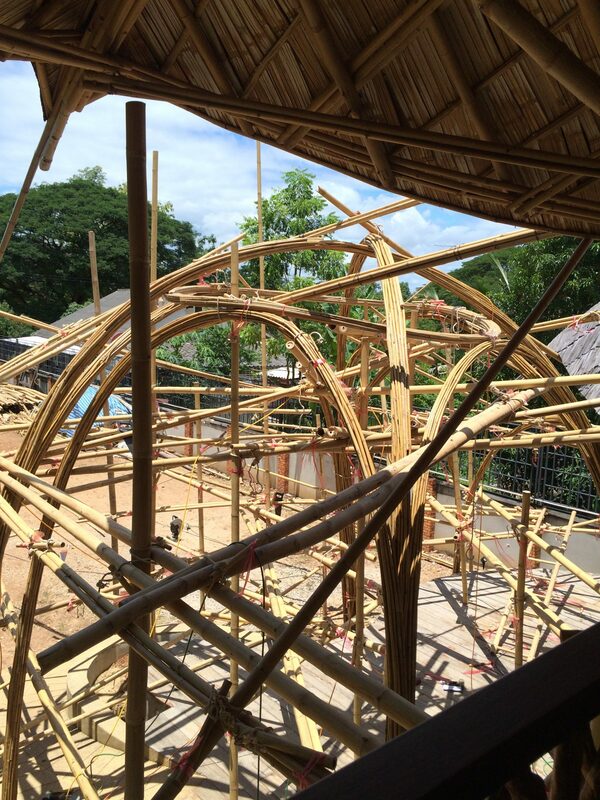 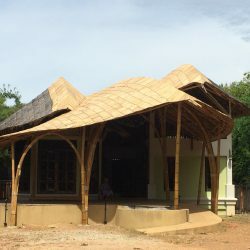 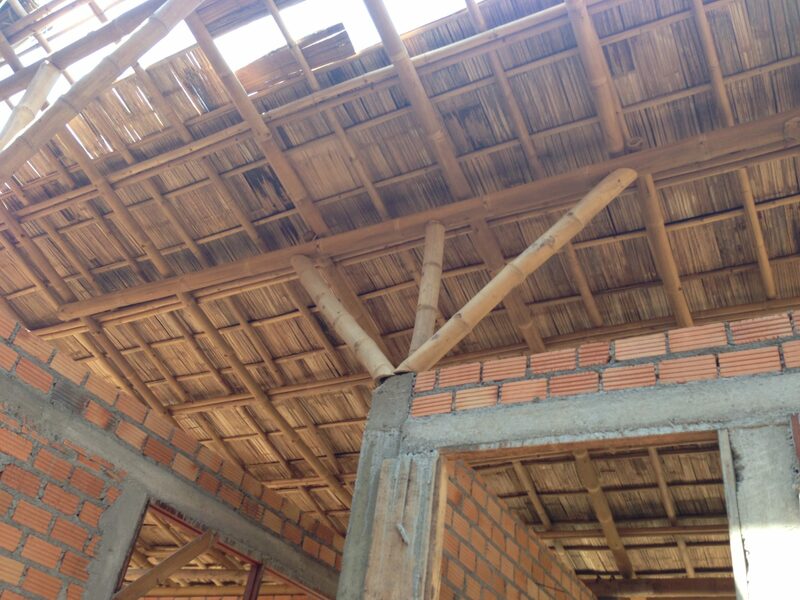 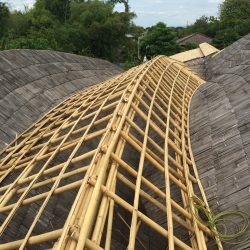 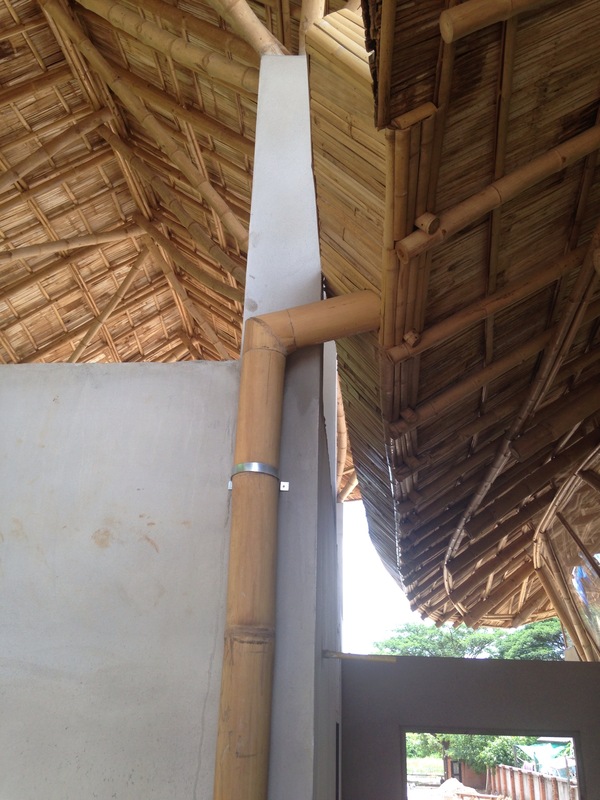 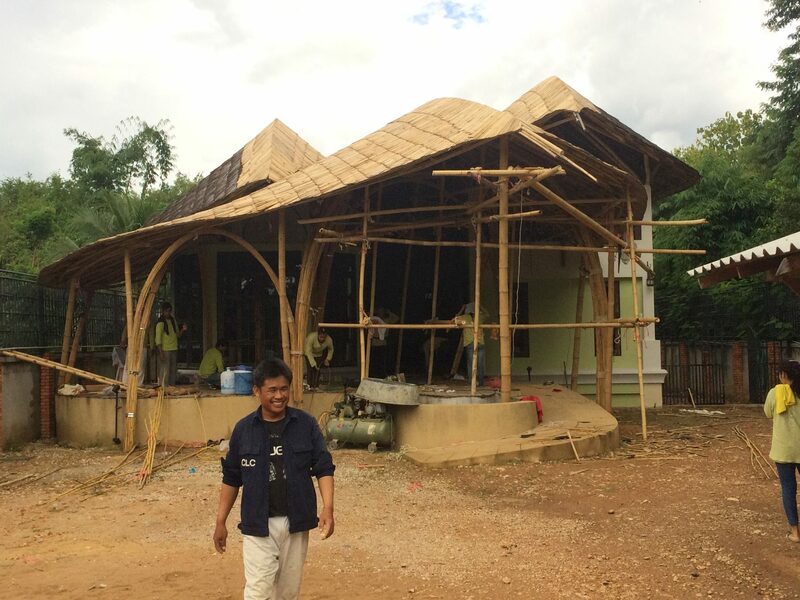 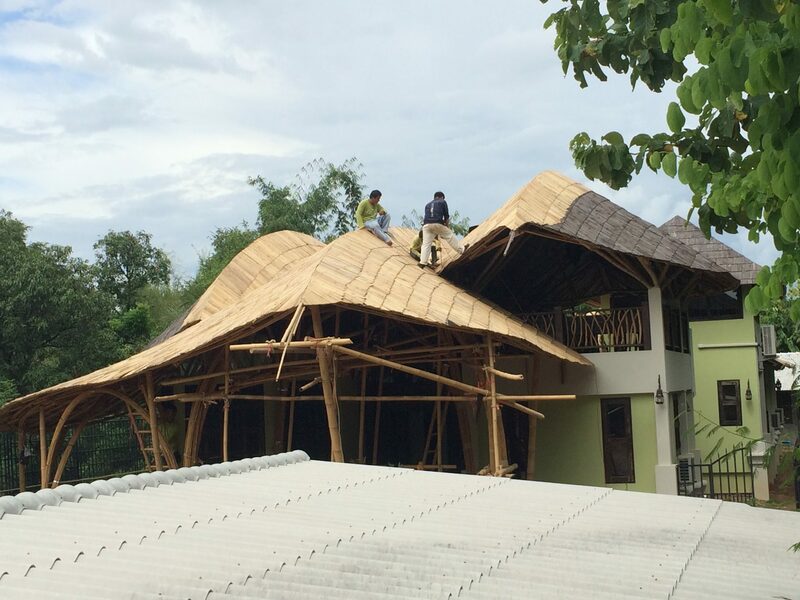 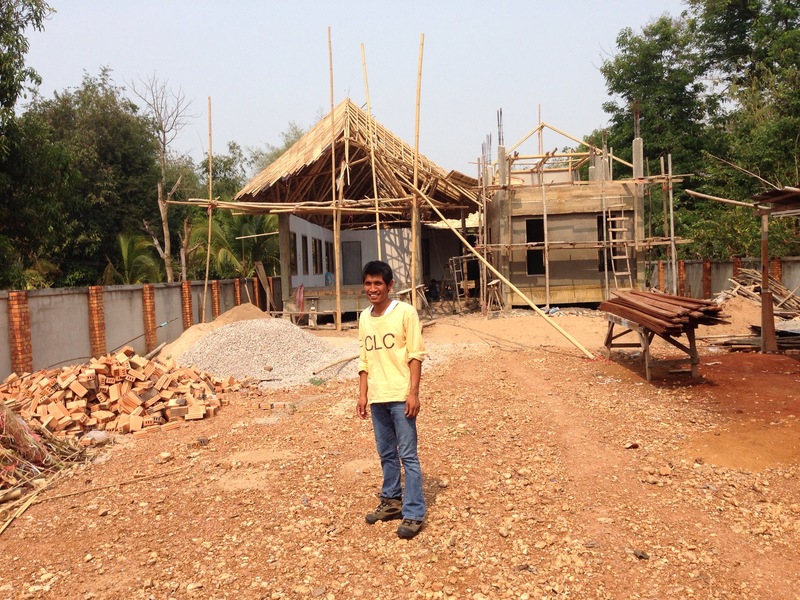 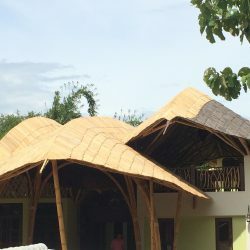 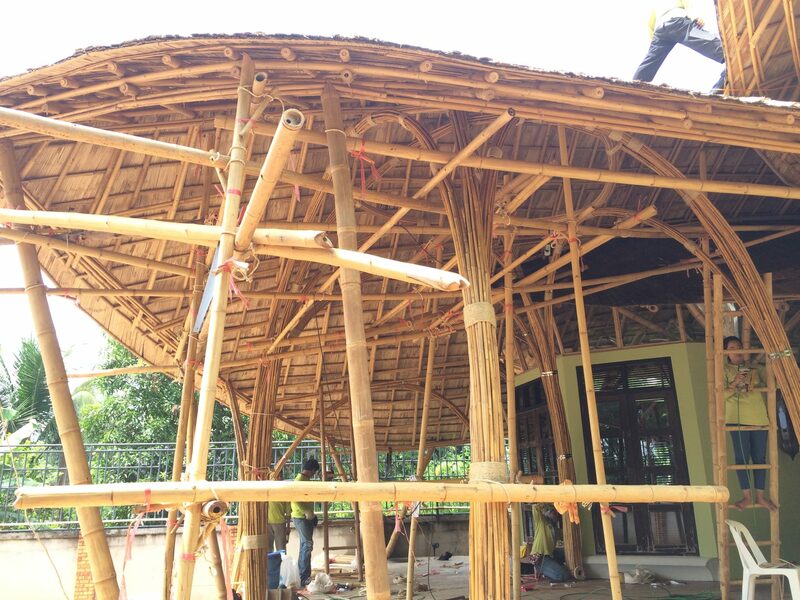 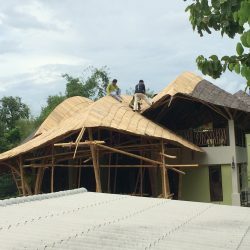 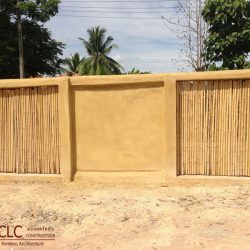 This concept provides a private space for all inhabitants but with just one step out of their door, they may share the environment of the bamboo roof private residence community. 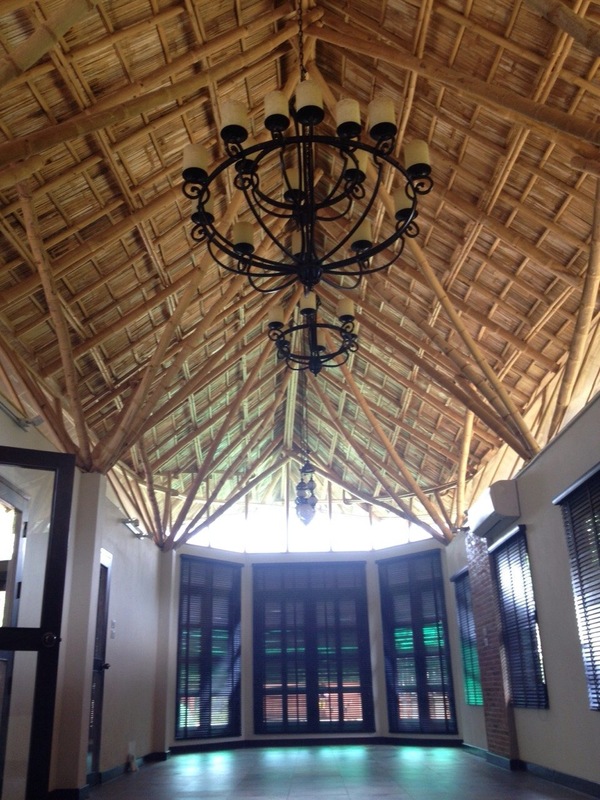 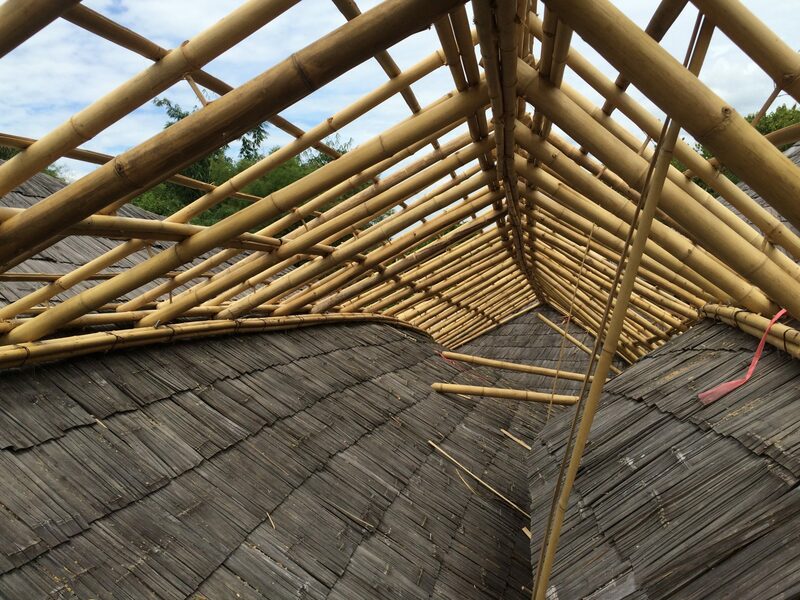 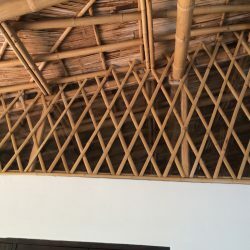 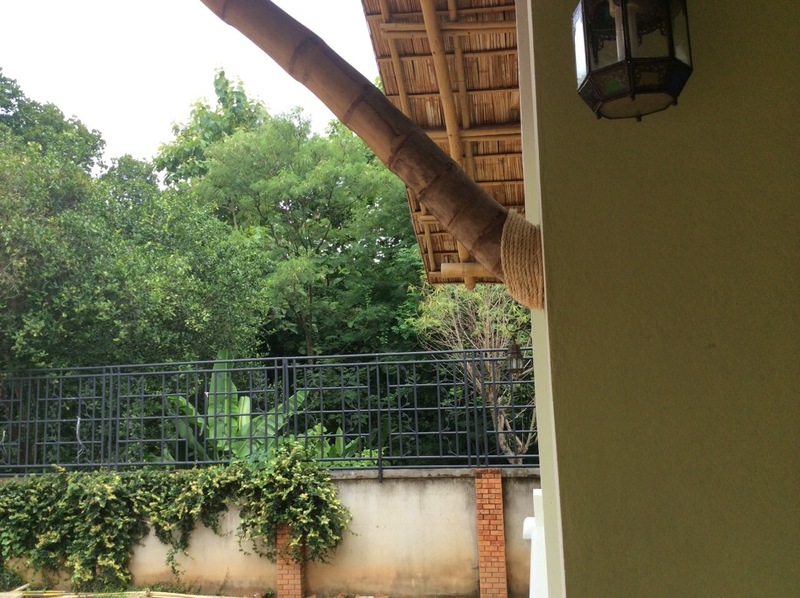 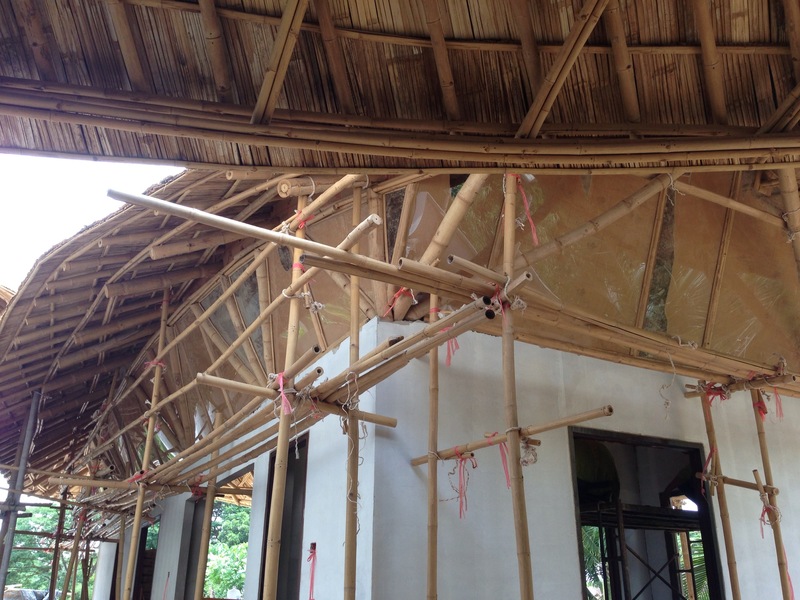 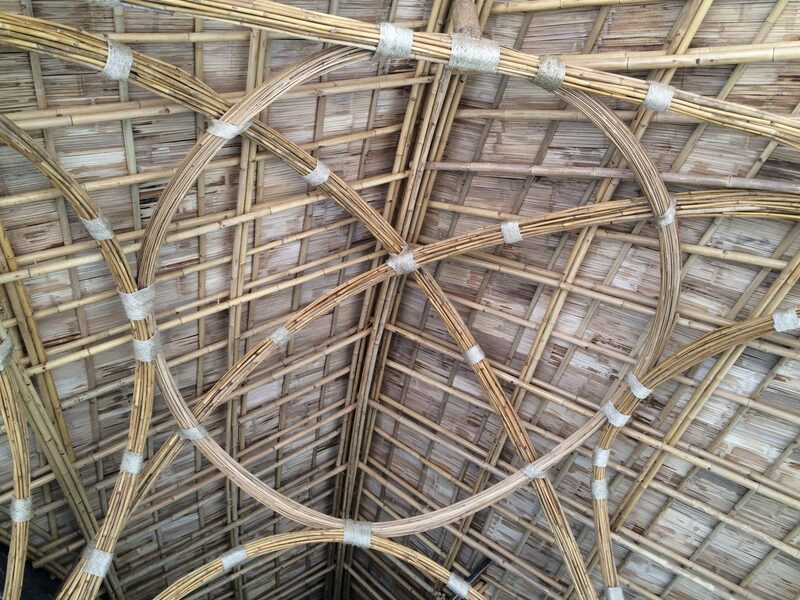 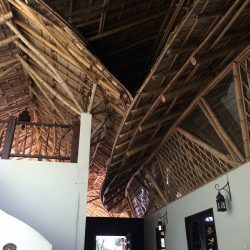 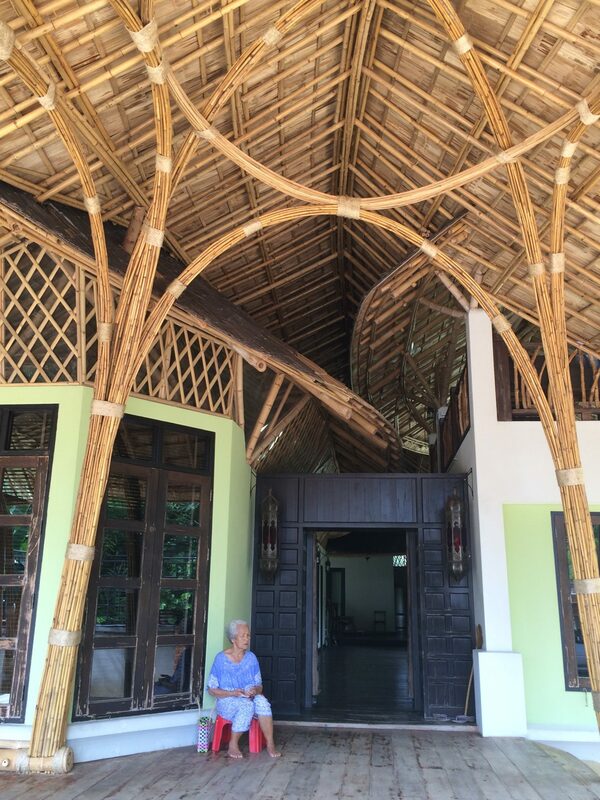 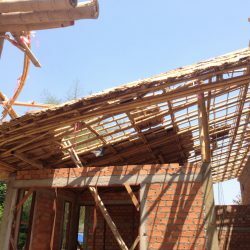 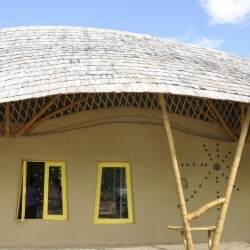 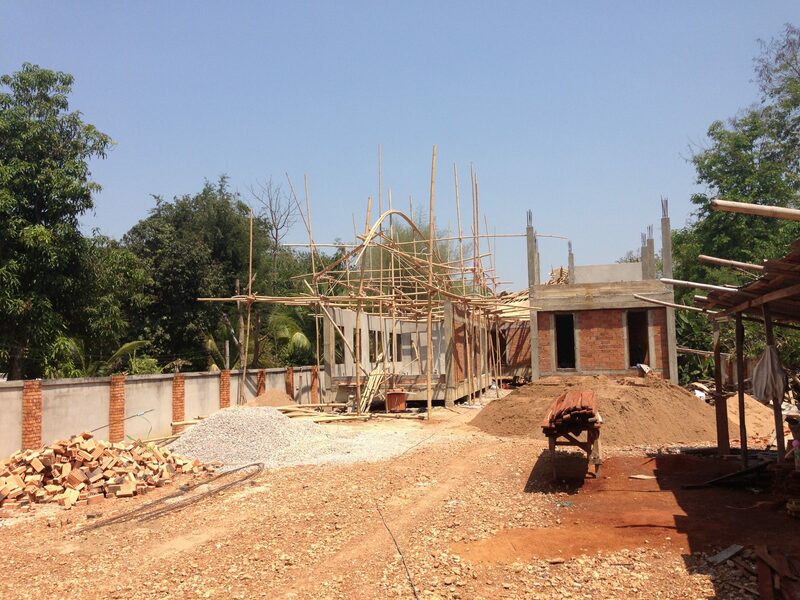 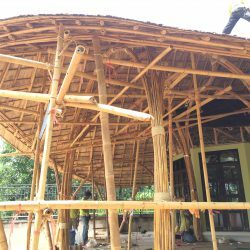 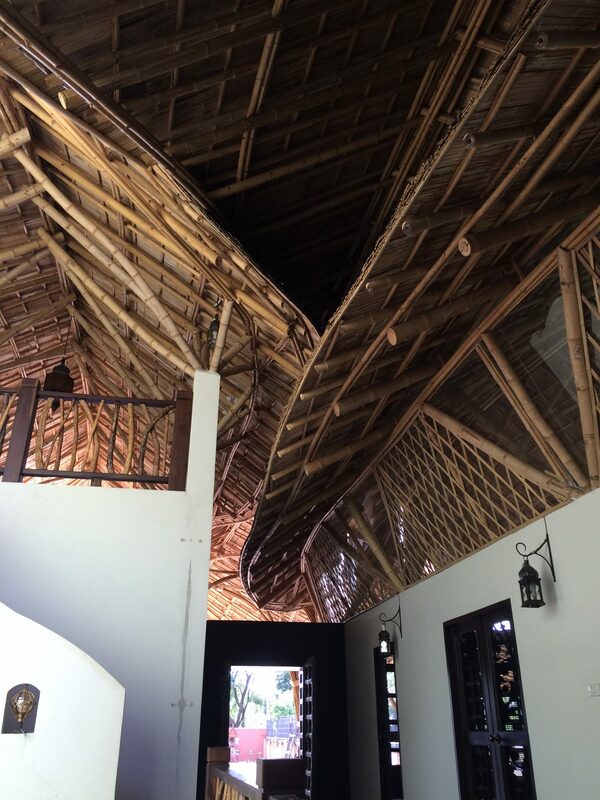 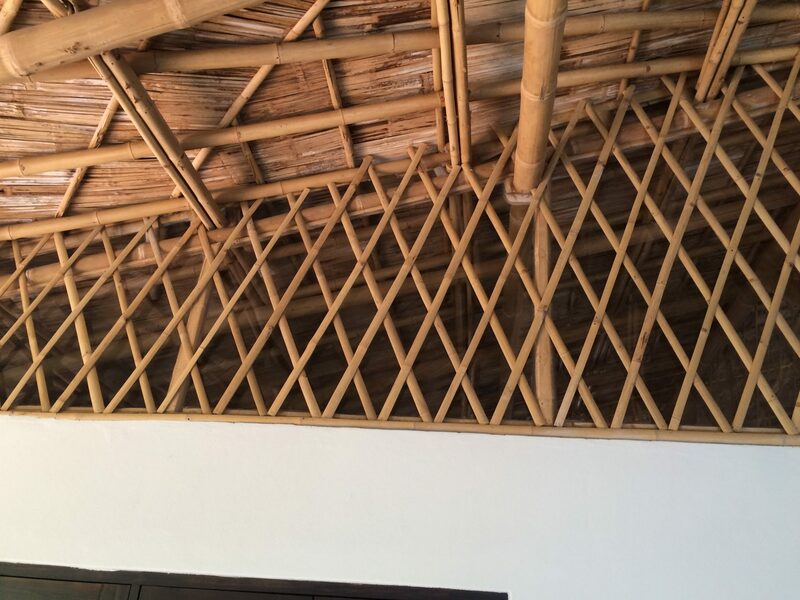 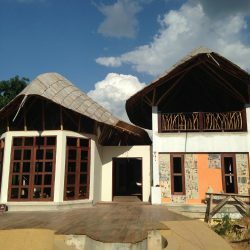 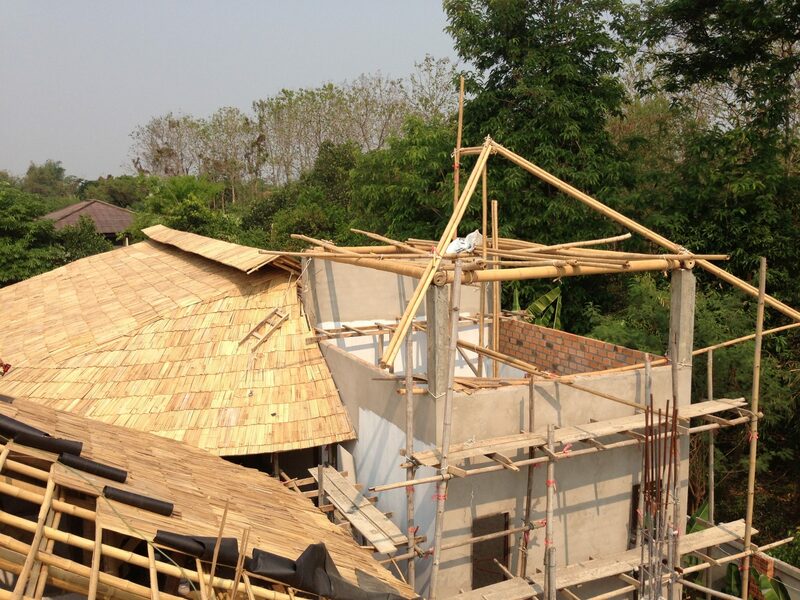 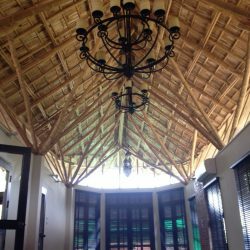 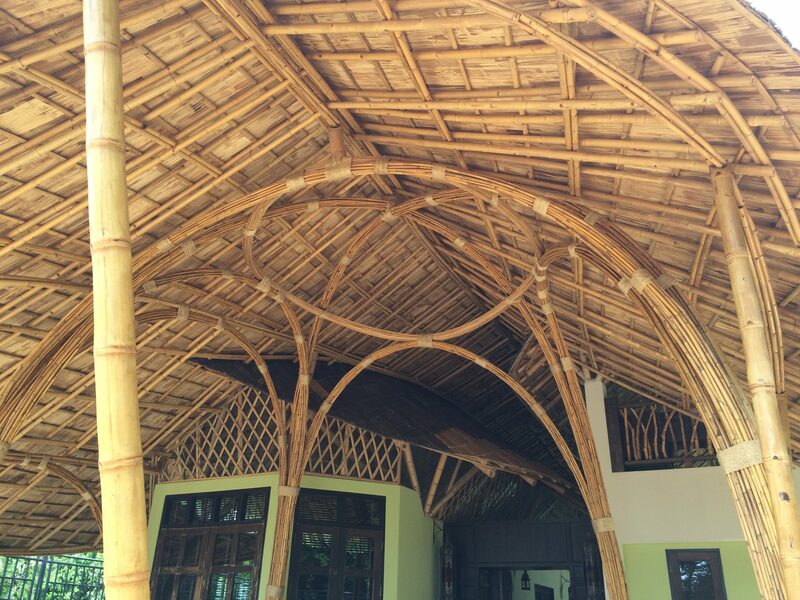 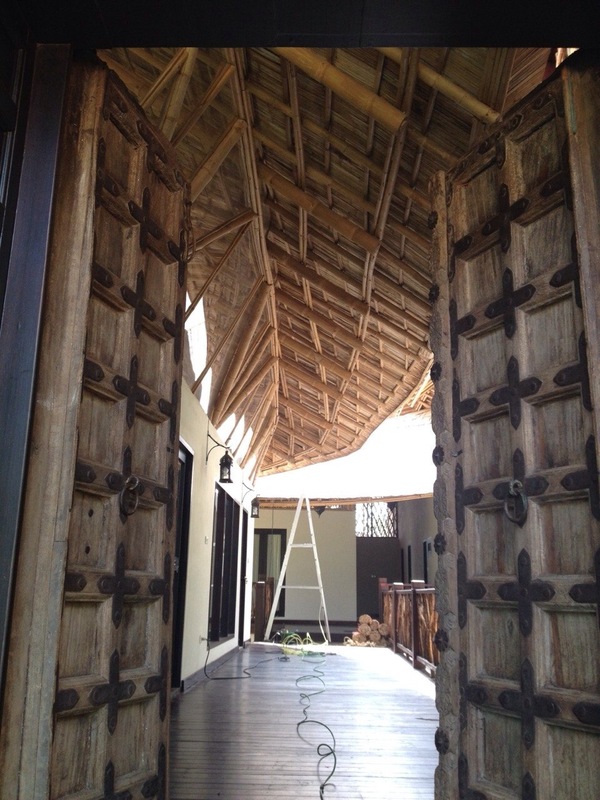 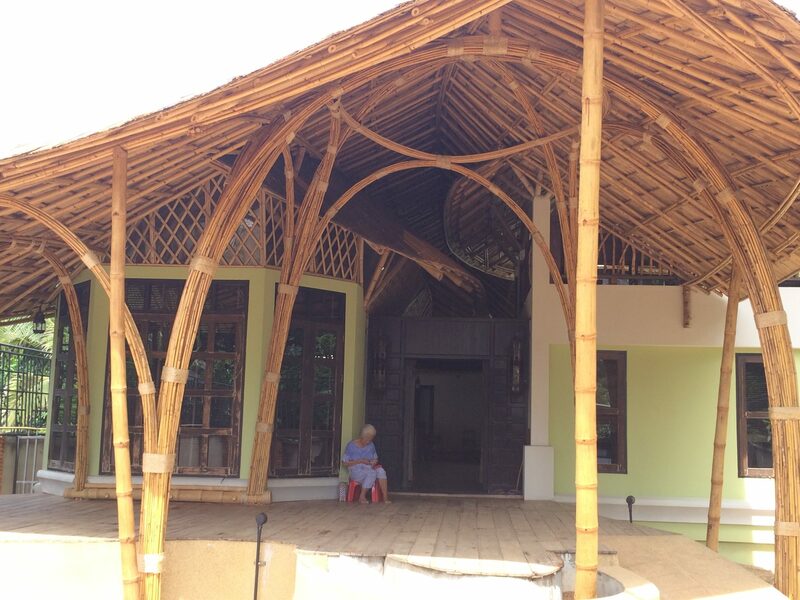 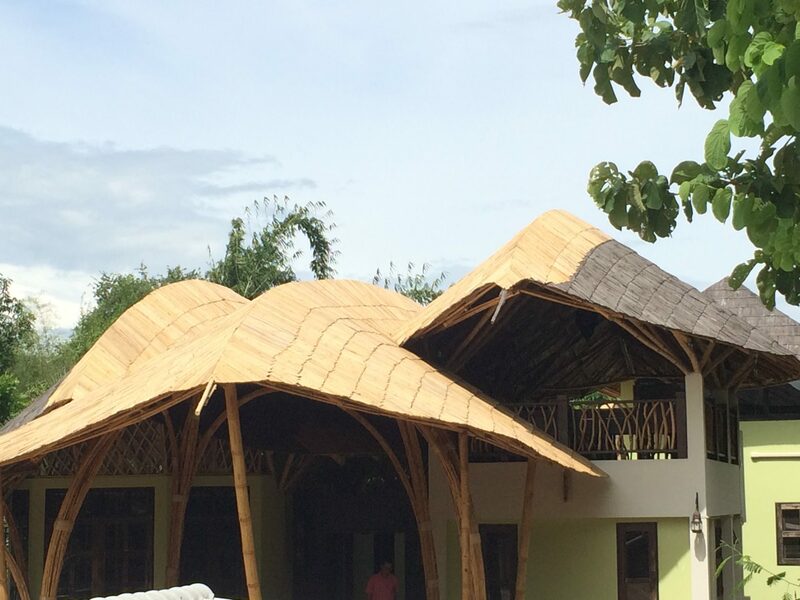 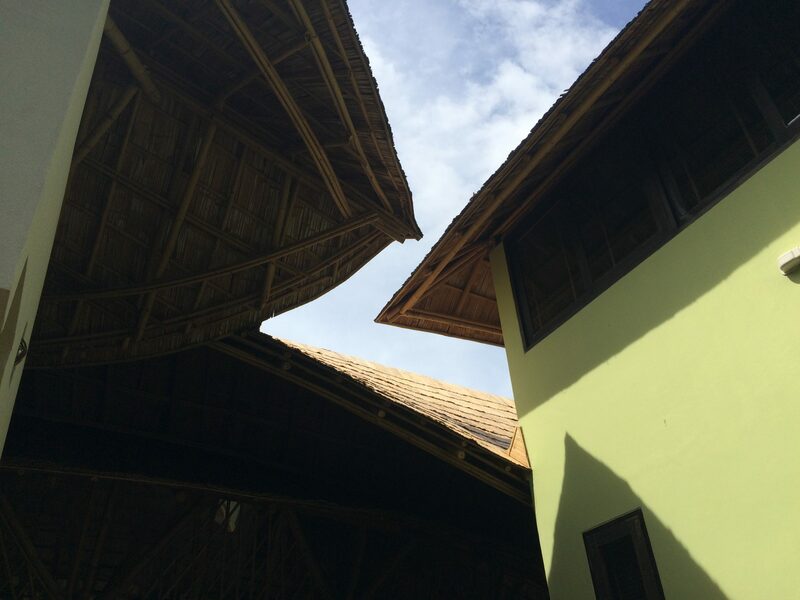 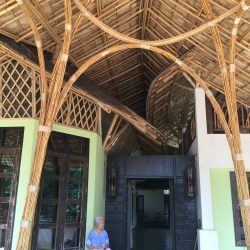 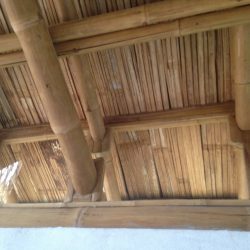 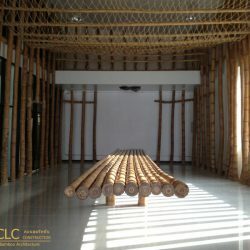 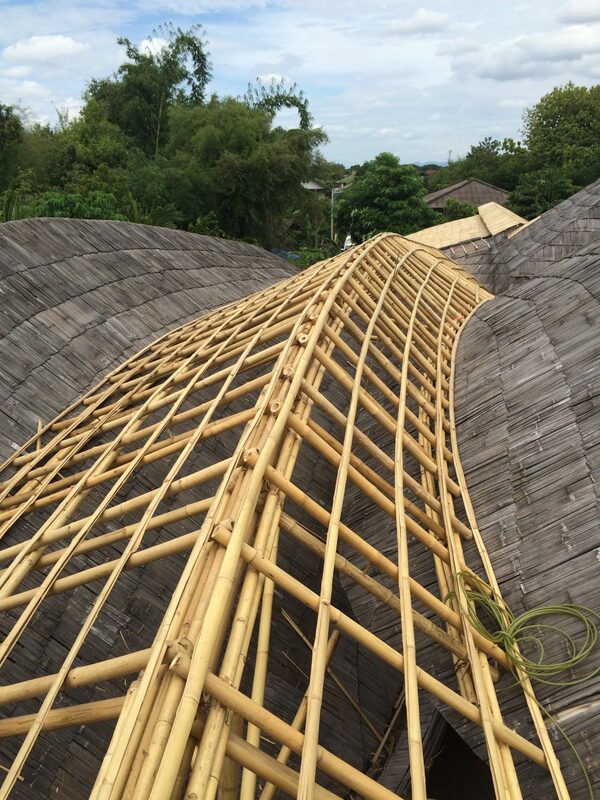 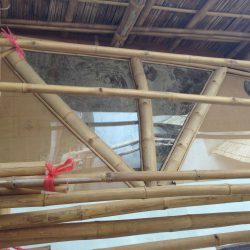 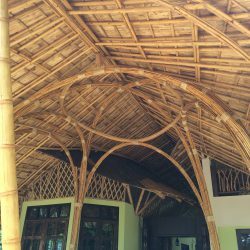 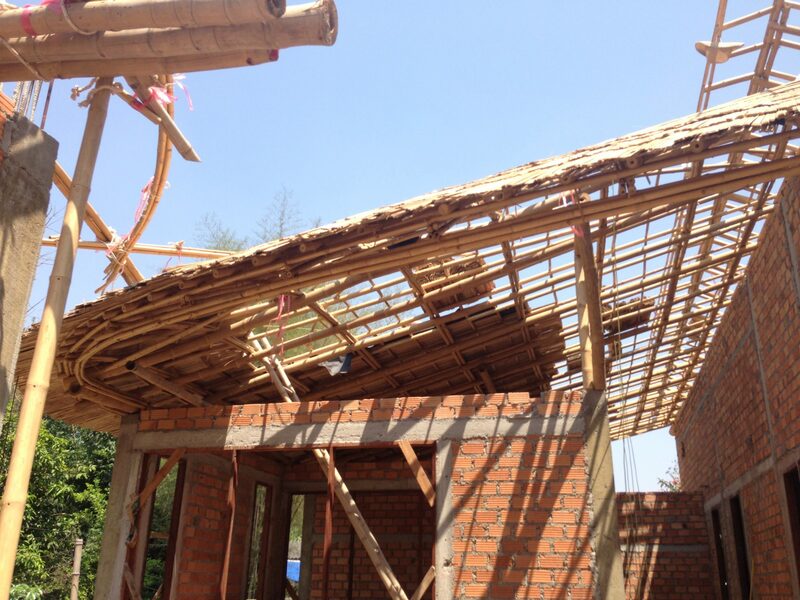 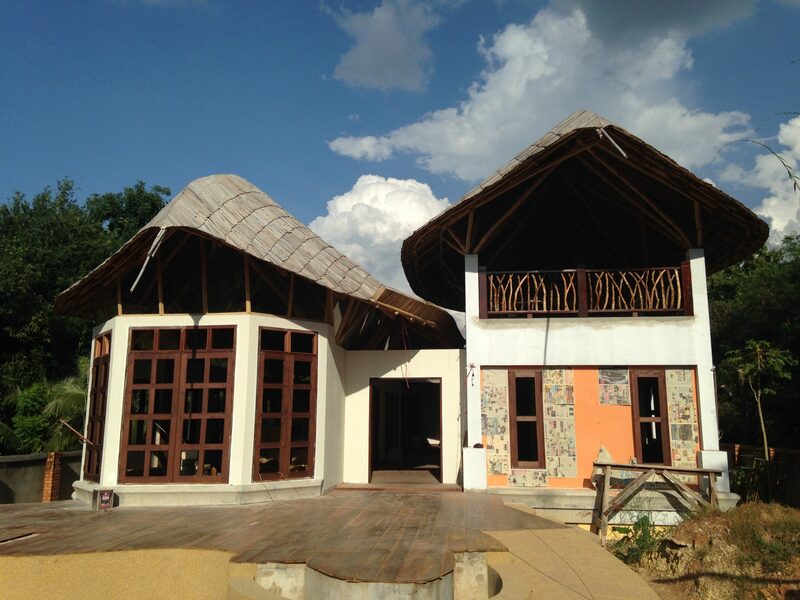 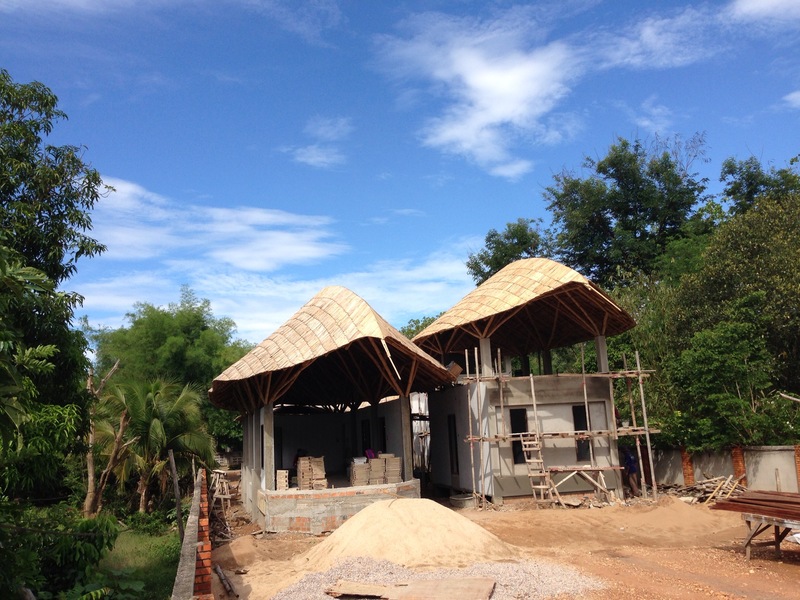 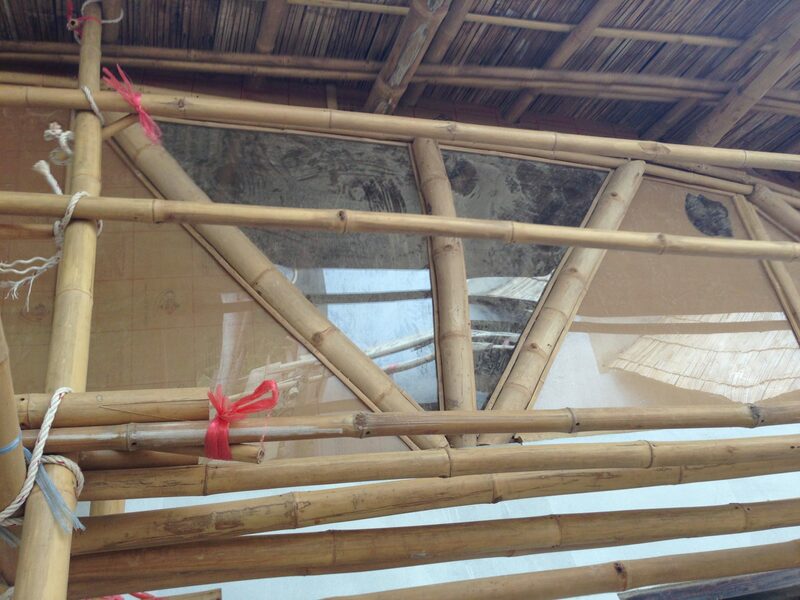 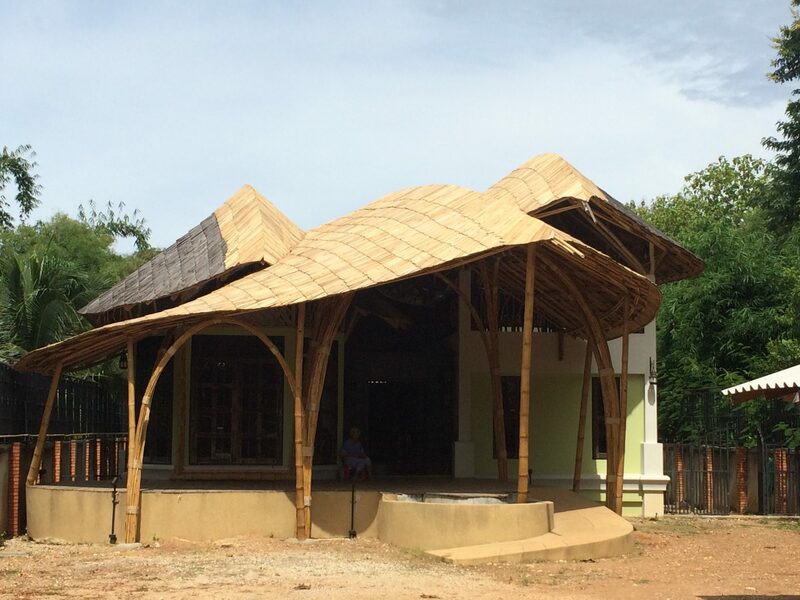 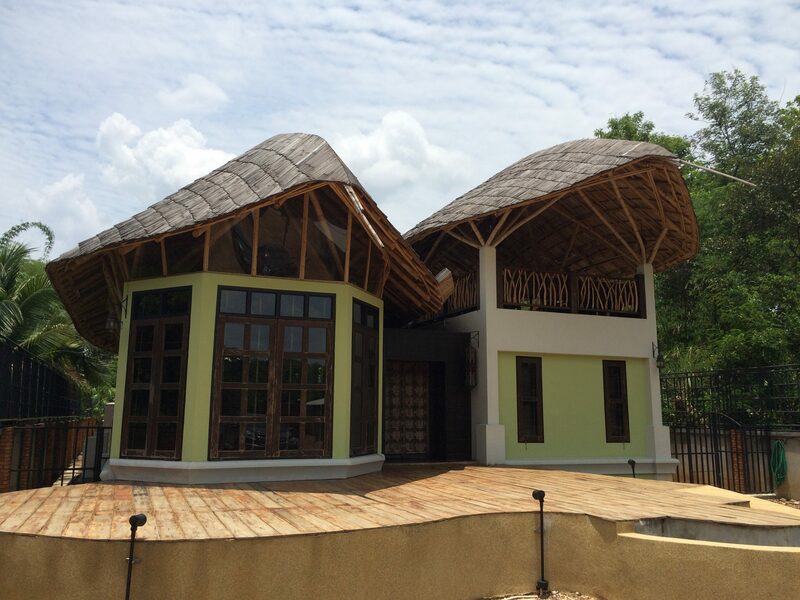 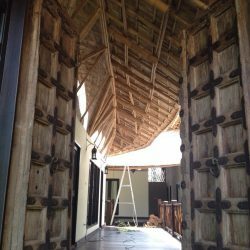 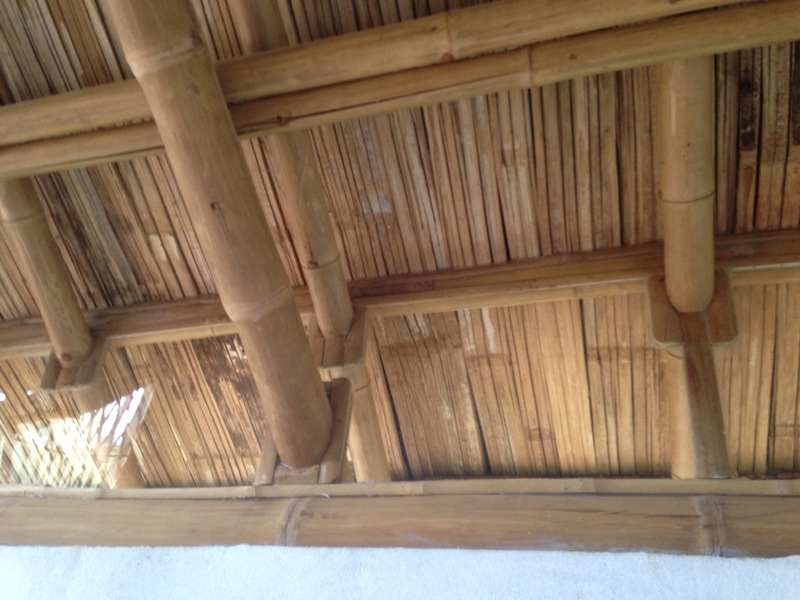 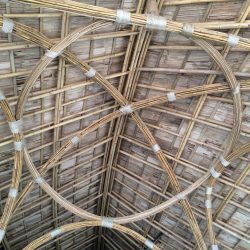 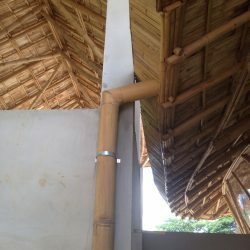 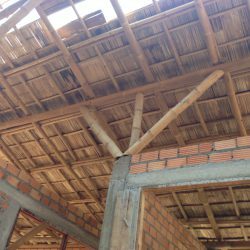 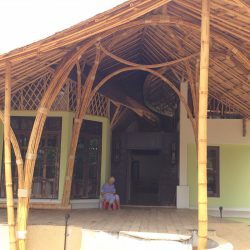 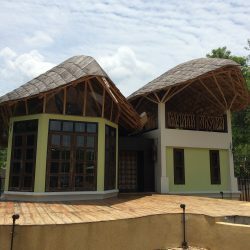 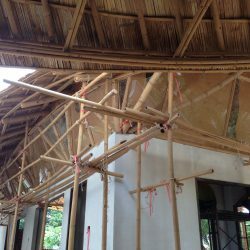 The free form of the bamboo roof private residence creates a lively and friendly atmosphere with many details to look at.